– An understatement of remarkable proportions. After being asked what was around the Eiffel Tower as he chased an ME 109 beneath the landmark, this is Bill Overstreet’s response. Easy to understand why he may not have been checking out the scenery. In the spring of 1944, Bill Overstreet of the 357th Fighter Group stayed hot on the tail of a German 109 ME 109G. The German pilot flew over Paris hoping the heavy German anti-aircraft artillery would solve his problem and eliminate Overstreet and his P51C, the “Berlin Express.” Hoping did no good. The German’s engine was hit, and Overstreet persisted through the intense enemy flak. As a last resort, the ME109 pilot aimed his aircraft at the Eiffel Tower and in a breathtaking maneuver, flew beneath it. The unshakeable Overstreet followed, and scored several more hits in the process. The German plane crashed and Bill escaped the heavy flak around Paris by flying low and full throttle over the river. Flying under the Eiffel Tower in pursuit of an enemy plane is not the only amazing survival story Overstreet can relate. He also can tell of a “one second parachute ride,” in addition to flying formation loops around the Golden Gate Bridge. Mr. Overstreet also flew unconscious for 90 minutes after his oxygen was shot out, and in another event, his eyes were swollen shut, he had to be led back to England from Berlin. Born in Clifton Forge, Virginia on April the 10th, 1921, Bill Overstreet remembers a happy childhood. He graduated high school in 1938 and continued his education in Charleston, West Virginia as a student at Morris Harvey College. For a time, Bill went to school and worked for Columbia Engineering. He was involved with both when the war broke, and learned of his acceptance as an Aviation Cadet, but had to wait a couple of months for an opening in the program. When the wait was over, Overstreet was shipped to Santa Anna, California for preflight, and then ventured on to Tulare, California for primary. After that, he traveled to Lemoore, California for basic, and lastly, he had to fight to go to Luke Field to get single engine training. 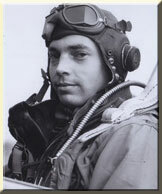 After getting his wings, Overstreet joined the 357th Fighter Group. 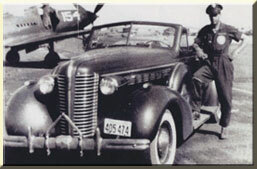 He trained in P-39s until being sent to England in November of 1943. He flew an extended tour and was sent home in October of the following year. His next assignment was to teach at the gunnery school in Pinellas, Florida. Overstreet was released from active duty, but kept in Reserves. So, he returned to Charleston, West Virginia where he worked as General Manager of Charleston Aviation. Overstreet eventually moved to Roanoke, Virginia in 1950 and worked for Andrews-Burket, CPA’s after T. Coleman Andrews became Director of Internal Revenue Service for Eisenhower. He then started his own firm, and retired in 1984. That’s when he really got down to business. Perhaps now, there would be a bit more time to observe just what exactly is around the Eiffel Tower. The Gathering of Mustangs & Legends Commemorative DVD is now available to order! The Mustangs. The Legends. The History. 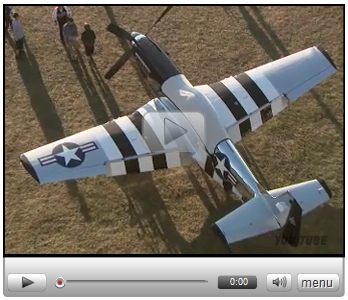 Preview the Gathering of Mustangs & Legends DVD, which will feature over 60 minutes of footage from the historic four-day air show held in Columbus, Ohio, September 27-30, 2007. Legend and pilot interviews, aerial footage, heritage flights and behind-the-scenes footage are just a few examples of the exciting and historic footage captured in high definition for all to enjoy! Click on the image below to visit the GML website, watch the DVD preview and order your copy. Makes a great gift too! Visit www.barnstormers.com - post an ad to be viewed by over 700,000 visitors per month. Over 12 years bringing more online buyers and sellers together than any other aviation marketplace. UNSUBSCRIBE INSTRUCTIONS: If you no longer wish to receive this eFLYER, unsubscribe here or mail a written request to the attention of: eFLYER Editor BARNSTORMERS, INC. 312 West Fourth Street, Carson City, NV 89703. NOTE: If you registered for one or more hangar accounts on barnstormers.com, you must opt out of all of them so the eFLYER mailings will be fully discontinued.